The following comes from the Family Research Council. To see the original post, click here. The failed coup attempt against the government of Turkish President Recip Erdogan will have several negative effects and consequences for the people of Turkey. Erdogan appears likely to increase his suppression of civil liberties which began as Prime Minister in 2003 and continued in 2014 when he was elected the 12th President of Turkey. Jailing judges and other officials in the judicial system has been routine for Erdogan. Journalists and media personalities have also been imprisoned in record numbers, and since the failed attempt last week to topple his regime he has arrested and incarcerated over six-thousand military and police who are believed to be complicit in the attempted coup. Today we learned through a media report that the Ministry of Education fired 15,200 people and the Board of Higher Education has requested the resignation of 1,577 university deans, akin to dismissing them. What should be of concern to all are the implications for the future of the Christians (and other minorities) in Turkey. Given Turkey’s history of genocide against the Armenian Christians between 1915-1923 (an atrocity which Pope Francis recently recognized), with an estimated death toll of 1.5 million, the 120,000 Christians now living in Turkey are most certainly concerned. In May of this year, a suicide bomber killed five people in a Christian village near what may be the oldest church in the world, St. Mary Church, in southeastern Turkey. An Islamic group protested the celebration of Christmas and the New Year last year while threatening the Christian minority with death. Beatings and verbal assaults were common during this holiday period. Several deaths of known and respected Christians, including a priest and a Christian journalist have been reported during the time that Erdogan has been in power. Most disturbing, however, is the fact that the Turkish National Security Council determined and announced that Christian missionary activities are one of the nation’s major security problems. With that level of animus toward Christians, there can be little doubt that the Christian community in Turkey is experiencing a great deal of angst and uncertainty as they see President Erdogan consolidating his power in the country. Erdogan is an Islamist first, and as such, his theology is not favorable to or very tolerant of Christians. He has been accused of harassing Christian communities. 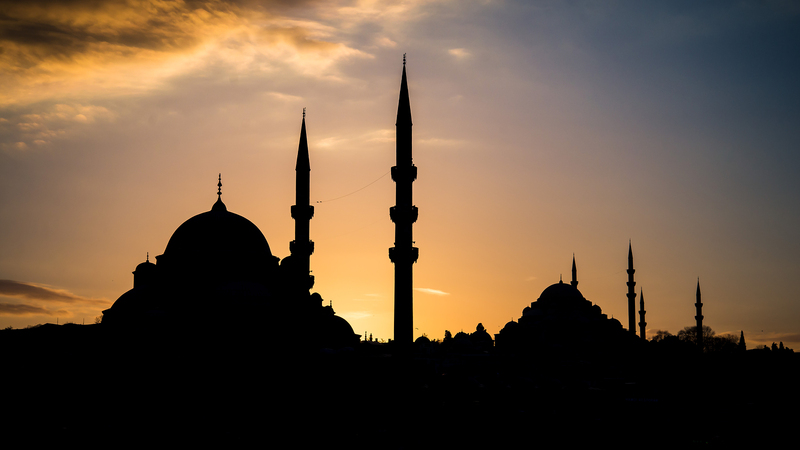 If Turkey moves now to a more radical Islamic influence in their society (whether or not under the guise of addressing the attempted coup), Christians will likely be in the cross hairs. Persecution can occur in many forms. Even if the government does not take overt steps against Christians, a toxic cultural climate nurtured by unchecked radical, Islamist ideology can have devastating consequences for Christians. We need only look at Pakistan to see the effects of such a situation. Thus, in Turkey, President Erdogan bears the responsibility of ensuring that his government does not further (nor stand by and watch) the persecution of Christians or any other minorities who need protection. We must pray fervently that this does not happen and that the few Christians left in Turkey will be allowed to worship openly in a country where Christianity has an incredible history. As a Christian who lived in Turkey for many years under Erdoğan's regime, I can pray, but my prayers will be without hope. LDS missionaries there have been limited from the beginning, as they were accused of being spies. The civil war in Syria has been the perfect excuse to go after an ethnic minority in his own country that he despises. There are small branches of Turks, and at least one that is serving a mission outside his home country. I pray for them and their families, as well as the generals, lawyers, journalists and other "usual suspects" their tyrant leader has jailed in an effort to change Turkey's constitution and turn it from a democracy to a theocracy.